Running is not my favorite activity because it's really hard and it never gets easy. The toughest part is actually getting dressed and out the door - after the 1st mile it's not so bad (says the person who really never runs more than 5-6 miles.) The other day I was trying to get outside as fast as I could because I was meeting a friend (a great tip for actually getting out there! If I didn't have a friend to have to meet, I would probably just curl up on my couch!) Only problem - where to put my key? I didn't want to put in my sock - how uncomfortable! 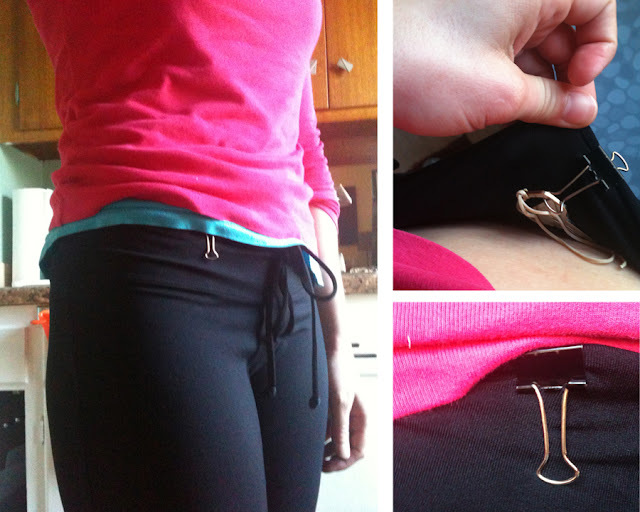 Realizing my pants had no pockets - I shuffled through my junk drawer looking for something to help me attach my key to something - shoes, bra, whatever... and I came up with this clip! I think everyone has one somewhere. It amazingly was even more perfect than the safety pin or key-chain that I was looking for. 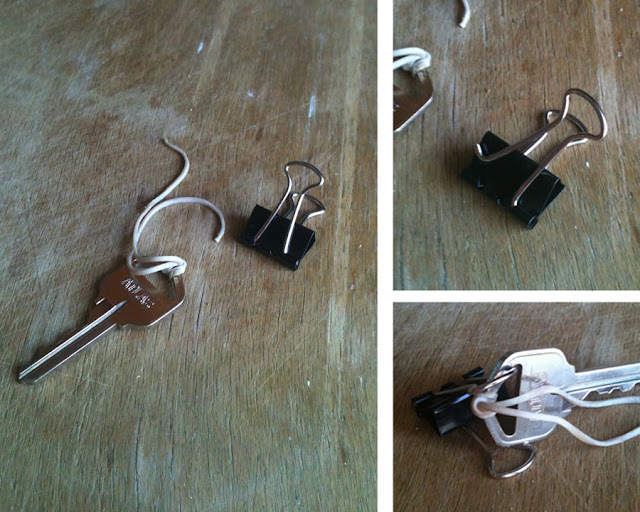 Just pinch one of the metal arms until you can remove it, slip on your key, and re-clip into place! I ended up clipping this into my pants so it didn't flop around. Don't you love when you find a solution for something with something you already have? !